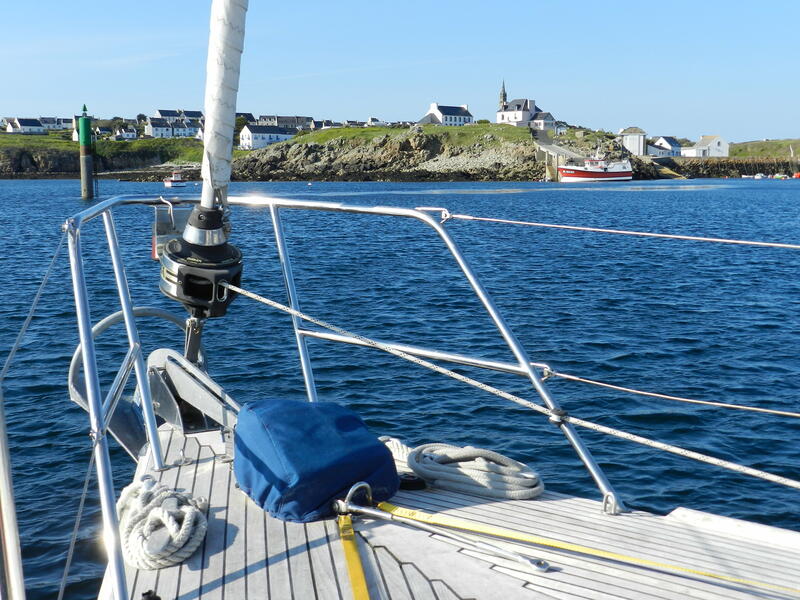 L’Ouessant (Ushant) lies 10 miles off the coast of Brittany to the west of the Chenal du Four (a tricky channel between L’Aberwrach and Brest). 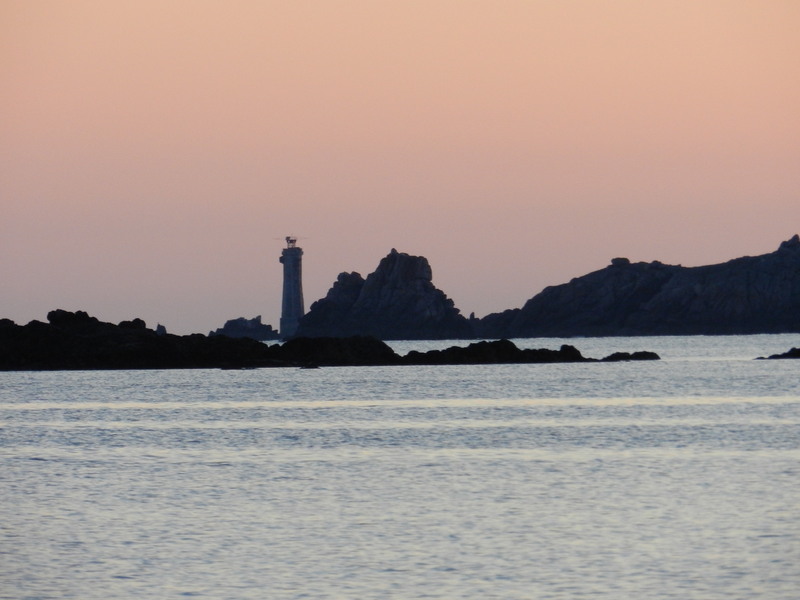 The tides are not dissimilar to the Alderney Race around these islands so they run fast even at neaps but are easily navigable in fair weather and if you time it right. These islands are very similar to the Isles of Scilly, beautiful in fine weather, treacherous in rough. The main town in L’Ouessant is Lampaul on the south of the island and it has a sheltered bay in which to moor. You need to be careful getting in but once inside, all is calm. The island is fairly flat so very open to the weather from the Atlantic – there is nothing between you and America! Lampaul is open to the SW so as long as the wind is not coming from that direction you are safe enough. A delightful evening was spent on one of their mooring buoys, free of charge, watching the sunset and feeling that this is what it is all about!